We love to find fun, interesting, local, and cultural food when we travel. I’m always surprised when people head to the chain restaurants that they can get at home when they travel. Why? Food is one of the best parts exploring new places! We enjoyed dining in Northwest Indiana as a part of a familiarization trip with Visit the South Shore. All opinions are my own. 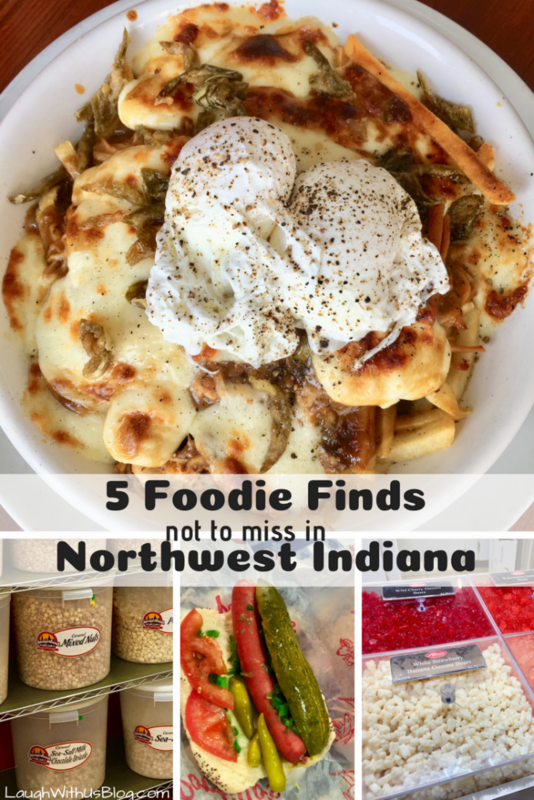 Here are 5 Foodie Finds you won’t want to miss in Northwest Indiana! Byway Brewing is a big, bright, inviting open concept located in Hammond, Indiana just across the street from the Visit the South Shore Welcome Center. 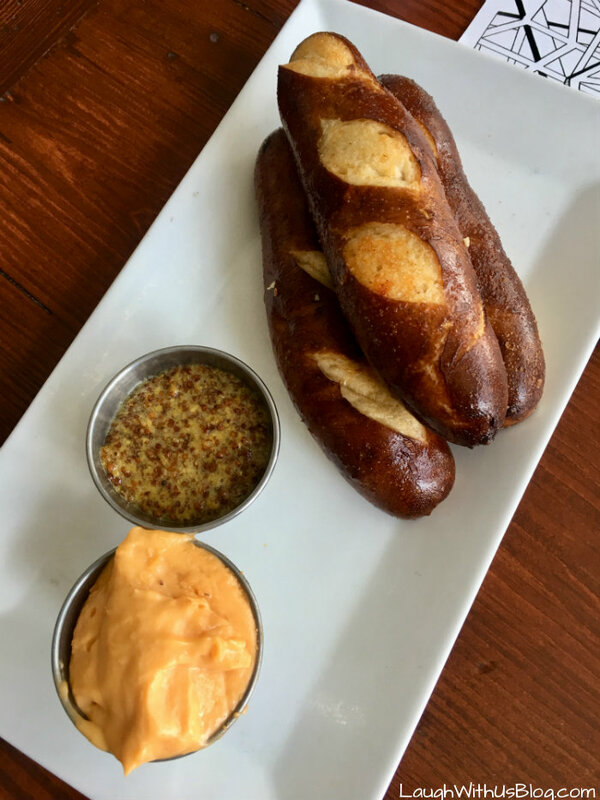 At Byway Brewing we feasted on appetizers! We are still talking about the Poutine!! My eldest says this was her absolute favorite dish from our 10 day Indiana trip, and I concur it was amazing! 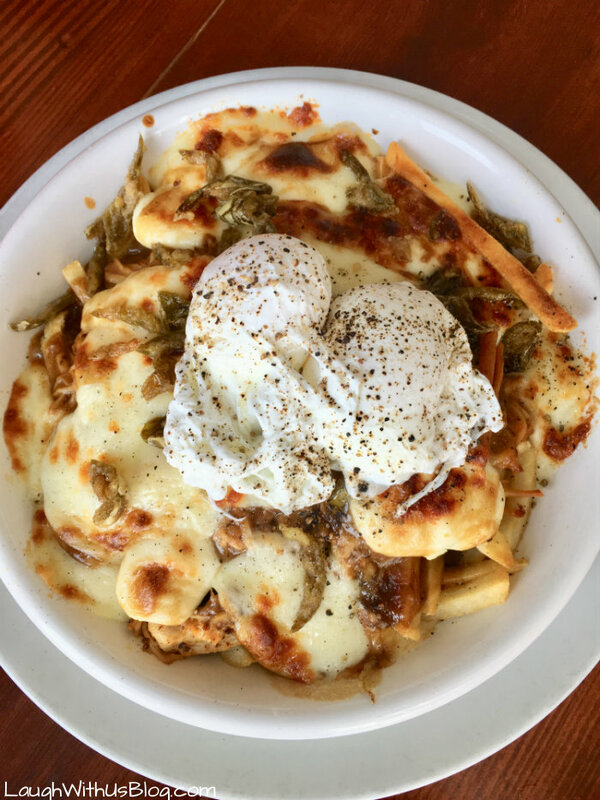 This potato, pork, gravy, Serrano pepper, and poached egg concoction is bursting with flavor. 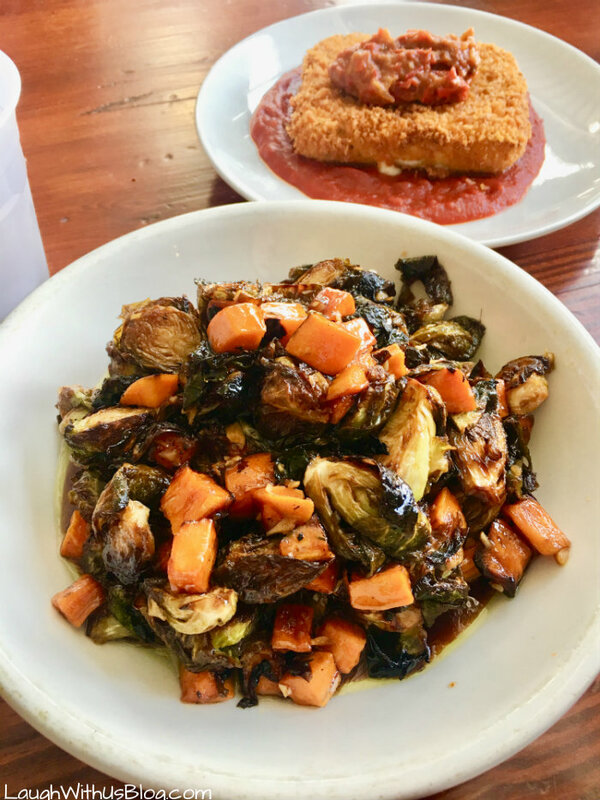 “Do you like brussel sprouts?” I’ve been asked and usually say, “No.” But the last couple of times I’ve had them were fantastical. Yes. Fantastical. I could live on these Brussel Sprouts with sweet potatoes and sweet and sour sauce. 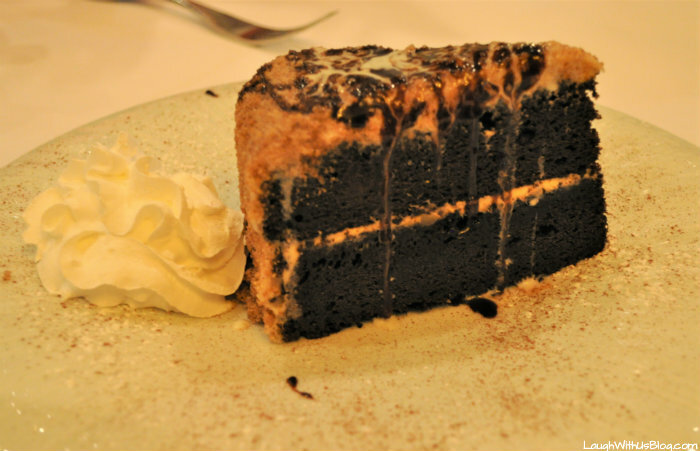 Highly flavorful and oh so good! 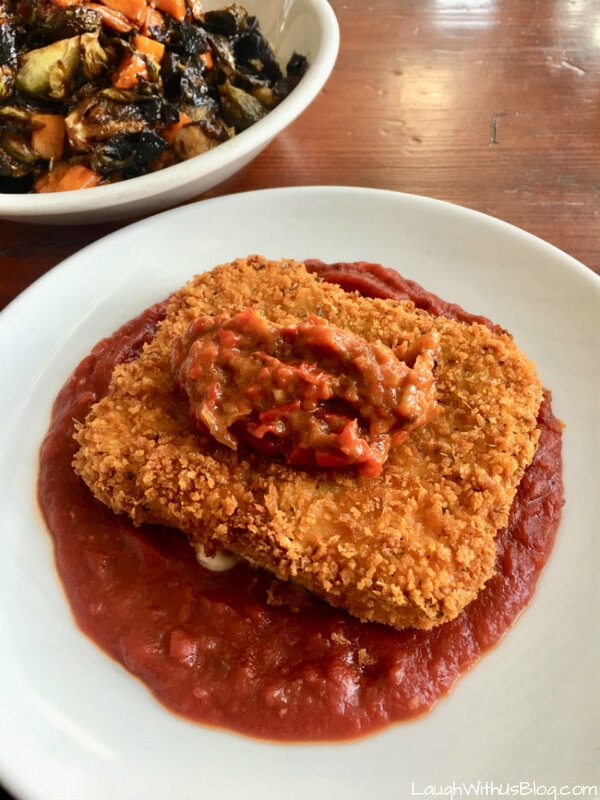 You also can’t go wrong with the Fried Cheese! My younger kids couldn’t get enough of the Pretzels! 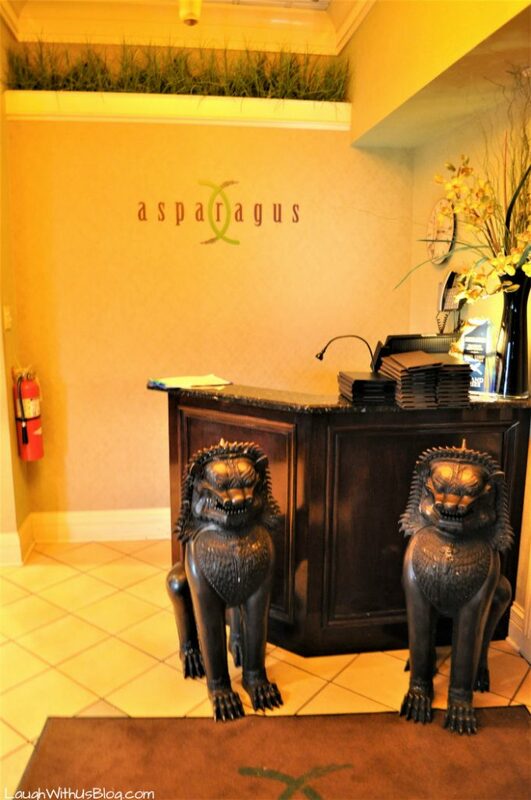 Asparagus is an Asian fusion restaurant located in Merrillville, Indiana. Experience fine dining in elegant surroundings enjoying tastes from Thailand, Vietnam, and the Americas. 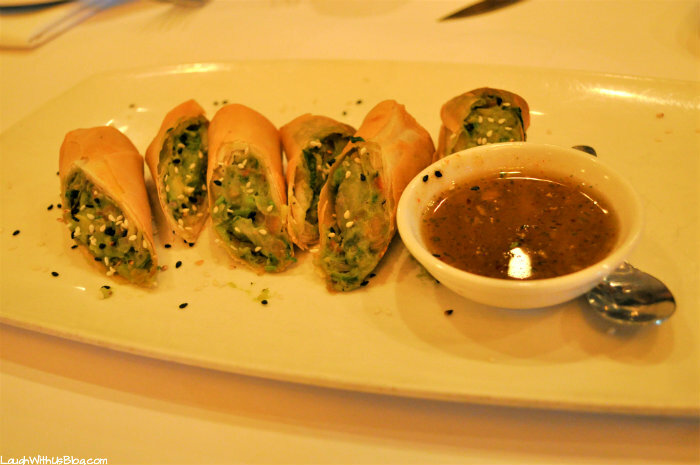 We had to try the Avocado Crispy Rolls–avocado, red onion, tomato, & cilantro wrapped in spring roll, served with sweet & sour sauce. If you are an avocado lover like I am this is a must! Have I mentioned how I love highly flavored food? 😉 I tried my first Pad See Eiw! It came highly recommended and was delish! 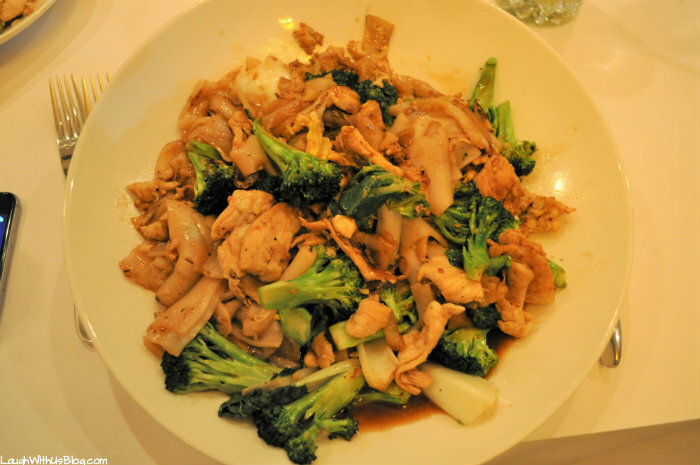 Stir-fried flat rice noodles with chicken, scrambled egg, broccoli, baby bok choy in a sweet pepper soy sauce–every bite was amazing. Pho! If you’ve never had Pho soup you’re missing out. We are huge fans. 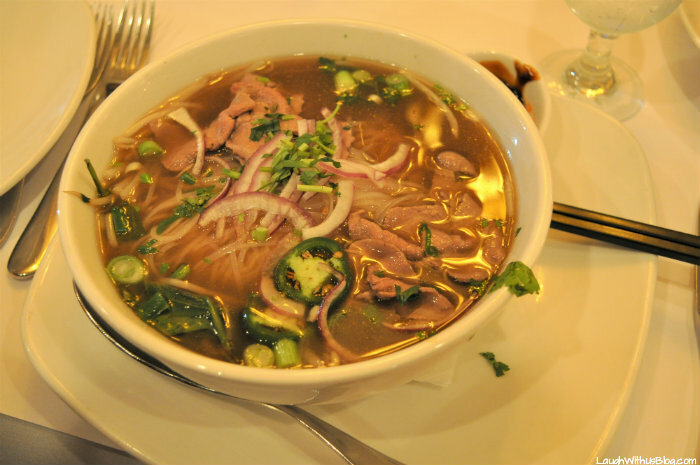 Pho is a hearty soup with rice noodles, bean sprout, thai basil & cilantro served with fresh lime & peppers on side. 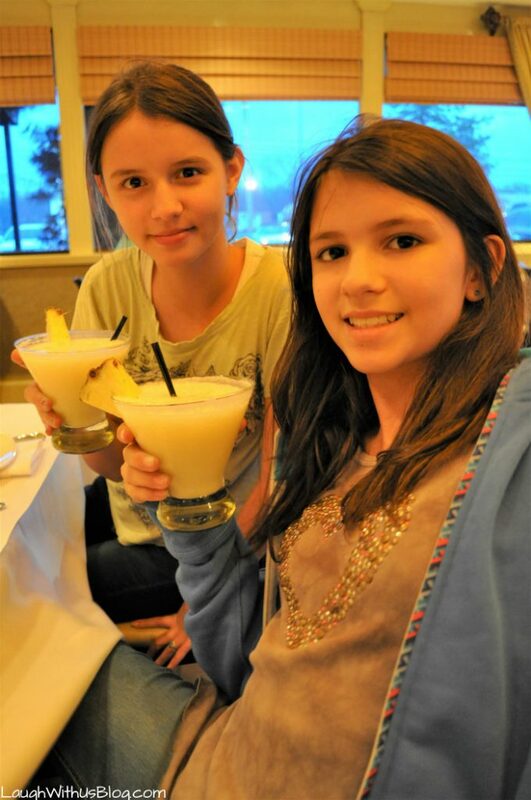 The kids had a blast with some fun drinks. And we ended a fantastic night with dessert. The Alanese Candy Store in Merrillville, Indiana is well worth the stop! 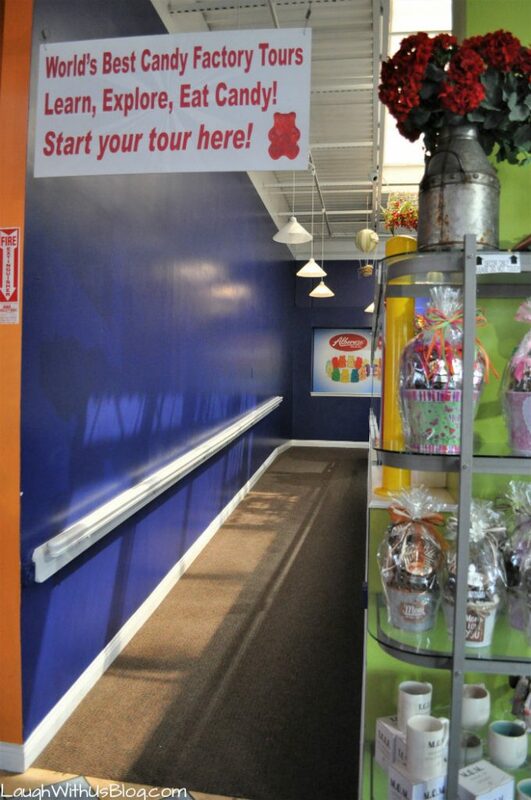 We went in as skeptics–We are a hard sell on good candy.–and came out believers. Most famous for their gummies, but everything at Albanese we tried was exceptional. Just inside the store you can take your own behind the scenes tour that shows you what is actually going on in the factory. Unfortunately there were no photos allowed beyond this point so you’ll have to adventure out and go see it, but we found it fascinating to watch how they make and package their candy. 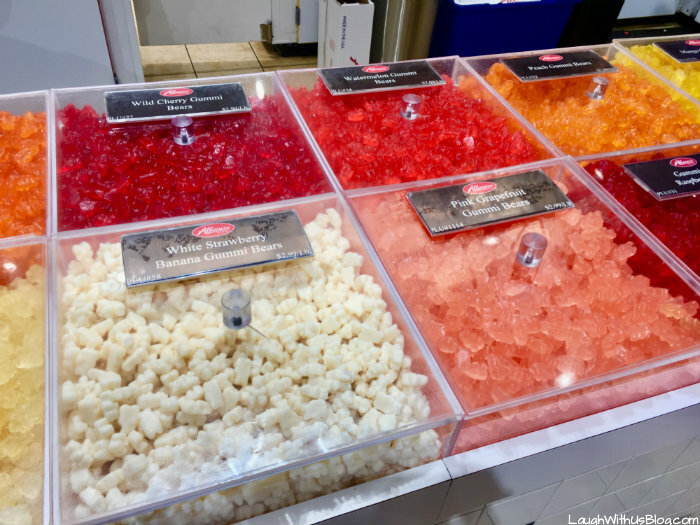 They have many unique flavors of gummies, and they are generous with their samples. I was told that the gummies at Disney are Albanese! Don’t miss the section of the store with the “mistakes.” You can score huge bags of gummies at an incredibly reduced price. We also sampled several of the Albanese Chocolates and y’all this is the real deal. 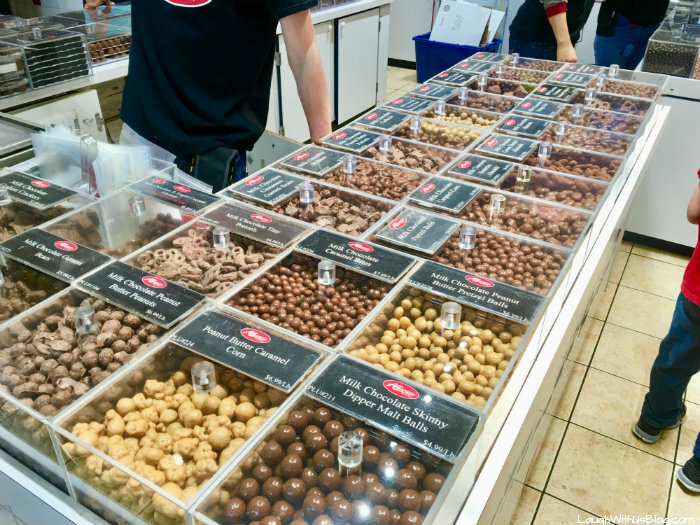 If you love great candy, this is the place. 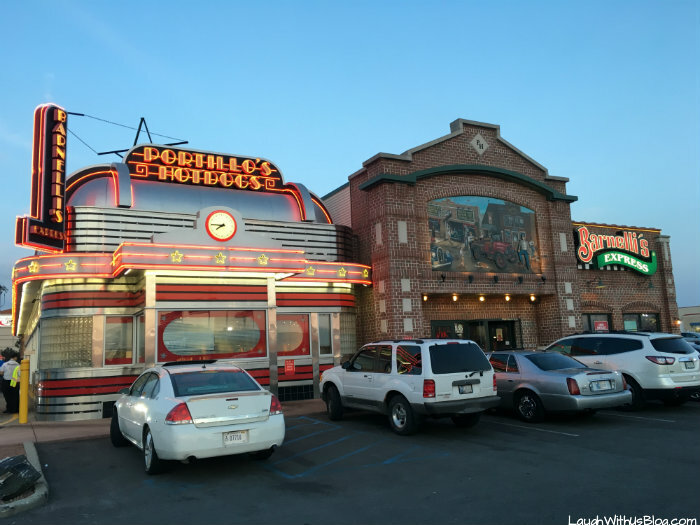 Just across the street from the HUGE Albanese candy story is a little building I almost missed, but you will want to make sure and stop into Chicagoland Popcorn. We caught the owner busily working to get ready for an event! 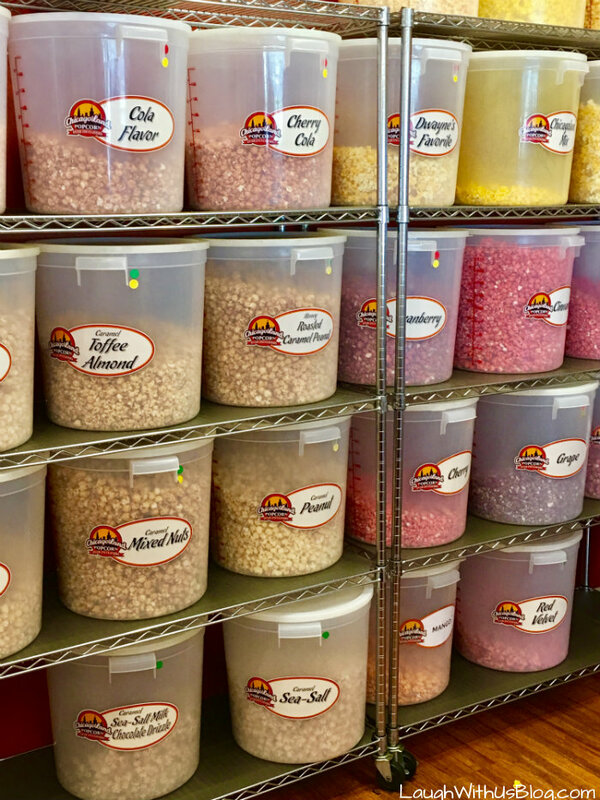 Chicagoland Popcorn has over 250 flavors and the best part is that you can sample as many as you want! We had fun trying sweet, salty, and spicy flavors of all kinds. We all left with bags of popcorn that we enjoyed throughout our trip. You will not want to leave without your favorite flavors! 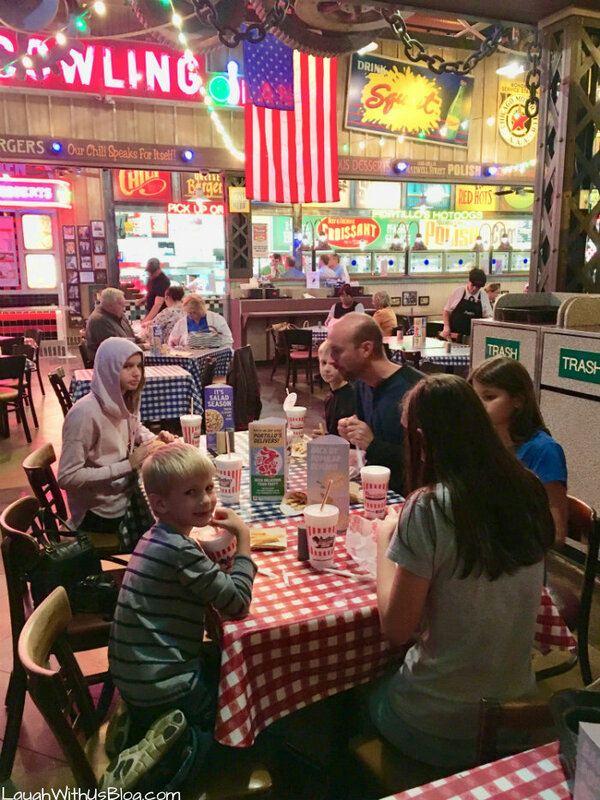 Oh how we love a fun, family friendly place to eat with great food and you will find all of that at Porillo’s. Portillo’s does have multiple locations in Indiana and a few other states, but it was me and well worth the mention. 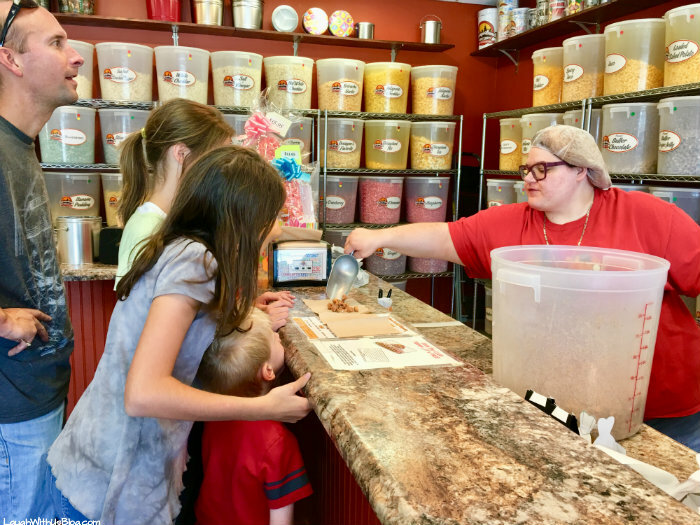 We visited the Merrillvile location, and it was a blast. We loved just being here. 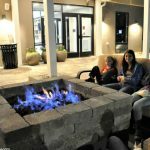 It’s a place the kids can relax and be themselves. 😉 We enjoyed hotdogs and shakes. Not the prettiest photo of a Portillo’s Hotdog, but you had to see what’s in it. This is a Chicago-style hotdog, and it’s gooood! 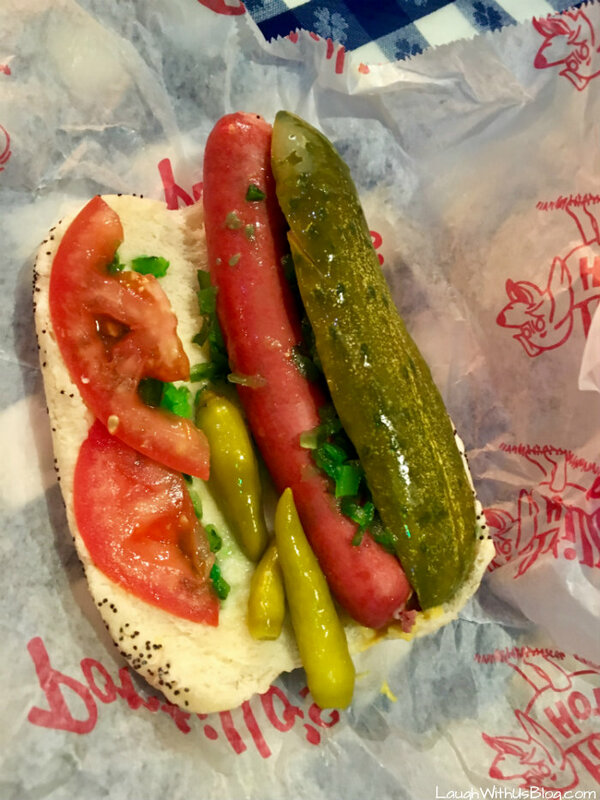 Pickles are one of my favorite things and to find a hotdog with the pickle as big as the meat, I was in love already, but then add peppers, mustard, relish, celery salt, freshly chopped onions, and sliced red ripe tomatoes piled onto a poppy seed bun–Wow! 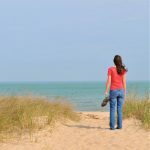 Have you traveled northwest Indiana? What are your foodie favorites to add to this list? What to do besides eat? 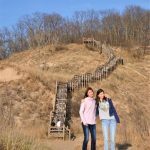 😉 We loved Edge Adventures Ariel Park and hiking the Indiana Dunes! 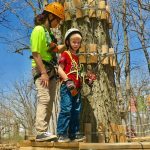 If you will be making a trip northwest Indiana, click over to Visit the South Shore for more ideas and information to plan your perfect adventure. Those brussels sprouts with the sweet potatoes are literally making me drool to dehydration!!!!!! I love that combo, and those babies are two of my favorites!!! They are amazing! I’d like to hop a plane and get some more! I am actually going to be close to northern Indiana and a couple of weeks and I may have to stop by a few of these places and try them out. That fried cheese and pretzels are calling my name. Everything looks tasty! Oh my goodness it all looks sooo good! Fried cheese sounds like a must try and my daughter is obsessed with pretzels so we would be happy in Indiana! Thank you. 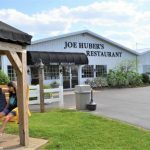 We loved eating in Northwest Indiana! These all look wonderful and definitely a reason to add them to our travel plans! We’ve never visited Indiana before but would love to! Thanks, Heather. It was our first time to Indiana, and we loved it! Wow, all of this food looks amazing. I would love to give any of these a try. I hope some day I’m able to get to some of these places to try the food. So much to love about this place especially if you’re a huge fan of food. I think this is awesome and totally worth going to! I can imagine myself having a blast trying out all the good food! We have actually gone to the candy store a couple times. It is ont he way to my brother’s house in Indiana. It is a really fun stop. It sure is! 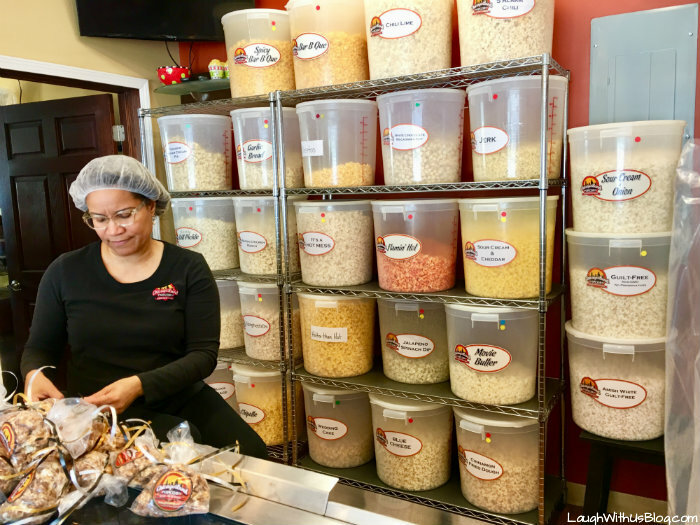 Next time pop over to Chicagoland Popcorn as well. It wowed us! Those brussel sprouts are talking to me! I could also go for a Portillo’s hotdog. I’m thinking we may road trip soon! So many great foods! 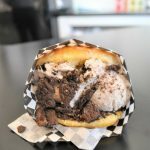 These are definitely some great foodie finds. I’ve never been to Indiana, but it would be fun to check these out and do a little road trip. Who knew there was so much tasty food up there! I bet Chicago has a big influence on it there! I have never been to Indiana but their food looks great! I am drooling over those pretzels and avocado rolls! NOM NOM NOM! Ha ha! I definitely wish I could have some right now! I’m obsessed with brussel sprouts. That dish looks SO yummy! I think I’m becoming that way! Too bad you didn’t get out to Valparaiso. Probably the best food in the area, places like Stack’s, Pikk’s Tavern, Octave Grill are my favorites. Also the food at 3 Floyd’s and 18th Street Brewery top almost all. Oh thank you for the recommendations! We tried to visit as much of Indiana as we could, but we didn’t make it to Valparaiso. Next time!